Unfortunately we went to this event on its last night so there is no chance of you seeing it this year. 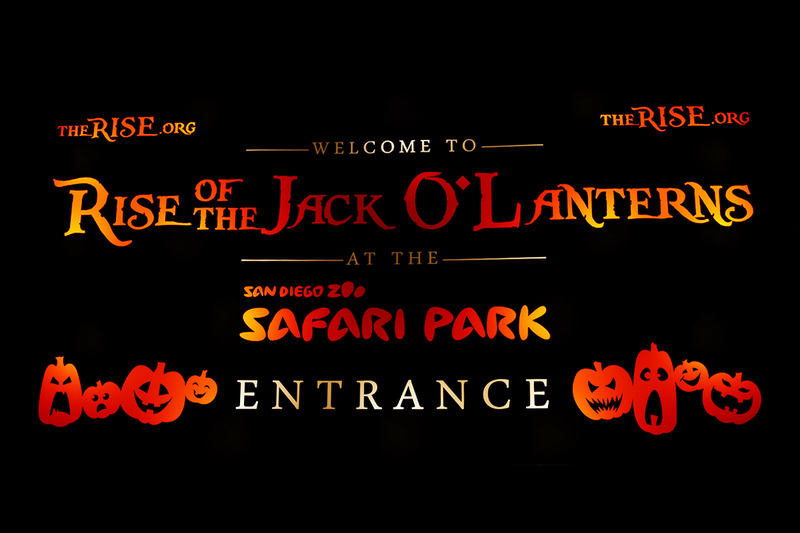 We do like to let you know about our experiences so you can try it yourself but with this being a seasonal attraction, there is no hope for 2015. However, there is always 2016! 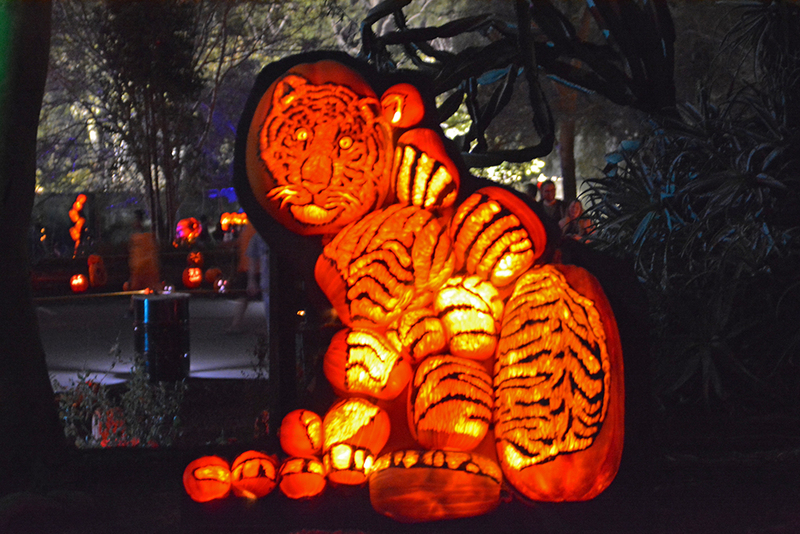 The San Diego Safari Park offered an after-hours exhibit of over 5,000 hand-carved Jack O’Lanterns that were created by professional artists and sculptors. 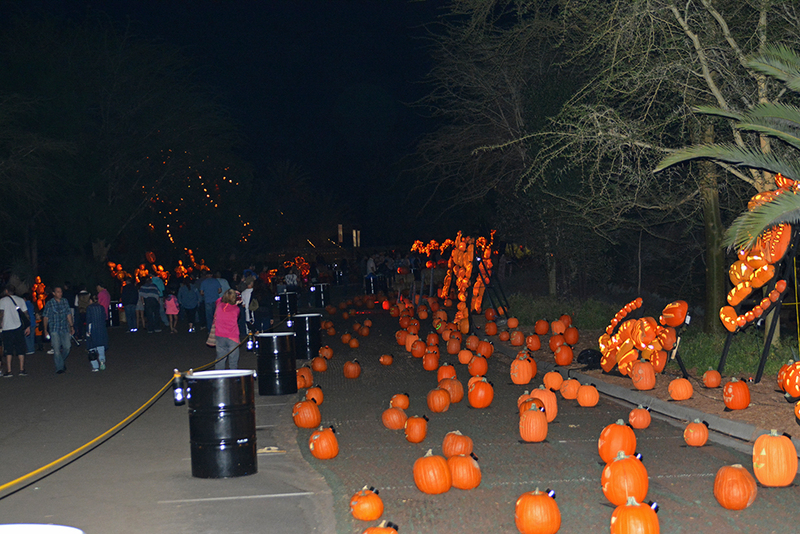 The lighted pumpkins were stretched over a third of a mile on a pathway that led you through different themes. 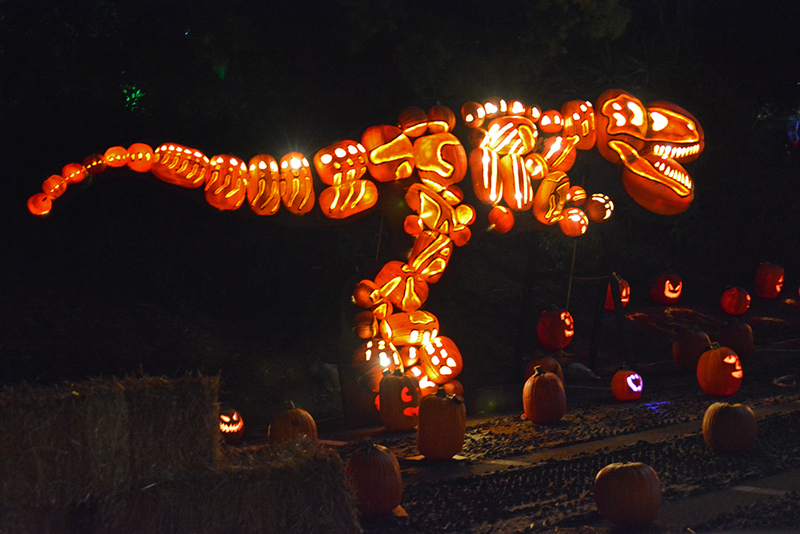 The pumpkins were carved and shaped together to create sea animals, land animals, cars, people, flowers, dragons, dinosaurs, etc. 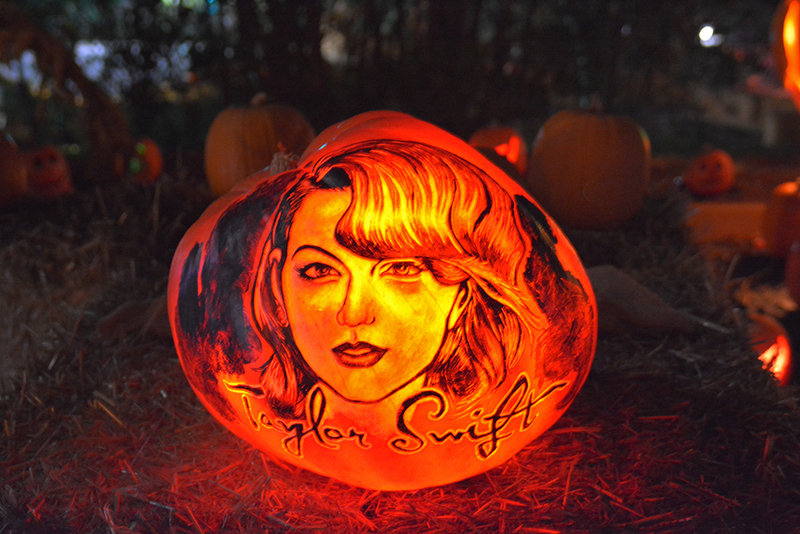 There was an area for video games, kid’s movies, Star Wars, and a few pumpkins were etched with the face of a famous person or an entertainer. 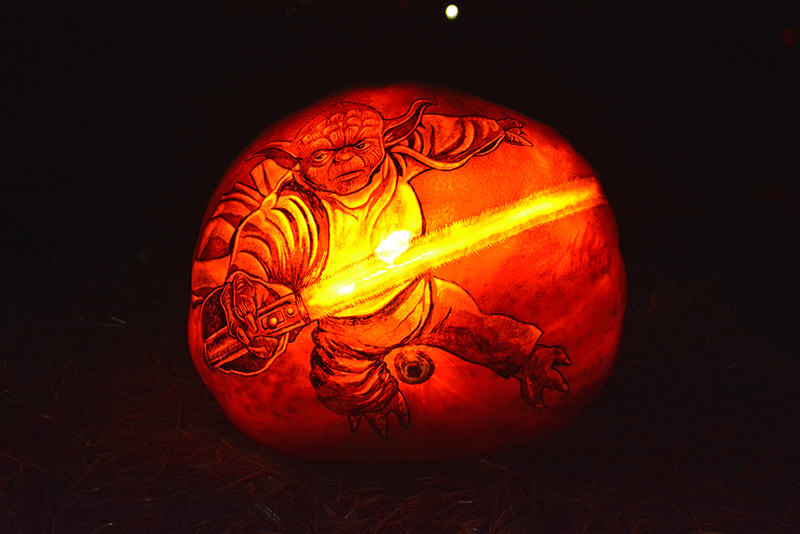 It was very interesting to see how they carve the pumpkins to achieve the masterful art. They are a far cry from my triangle eyes, triangle nose, and half circle mouth that is the norm for most of my Jack O’Lanterns. 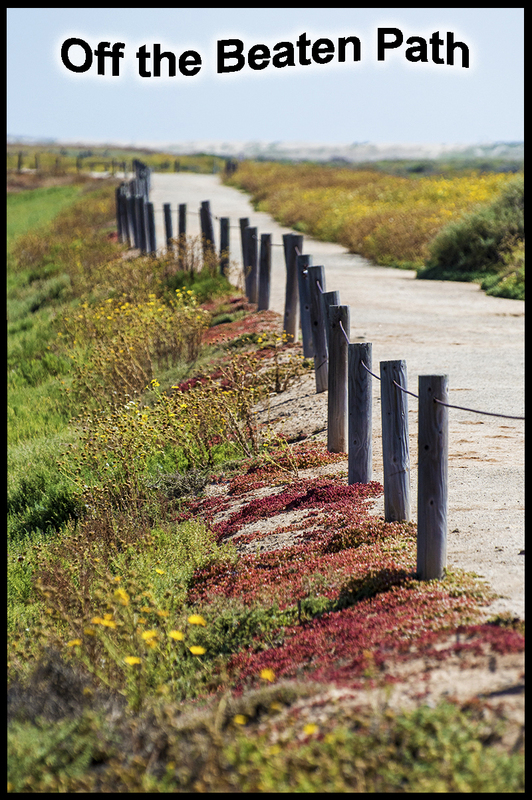 It is an amazing exhibit. The price is separate from the admission as this is after the park closes. You do not have to pay park admission or parking but I do feel it was a little overpriced for what it was. I realize and respect the amount of work it took to get this together. The result was spectacular, but it only took us about 40 minutes to go through the whole thing and that has to be priced accordingly. 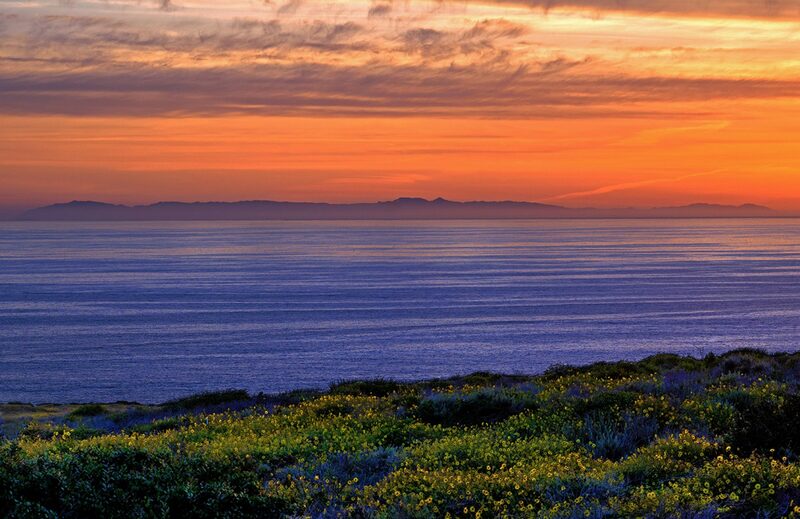 We didn’t complain because we used our trusty Groupon. But I did hear complaints about how costly it was from a few other people. 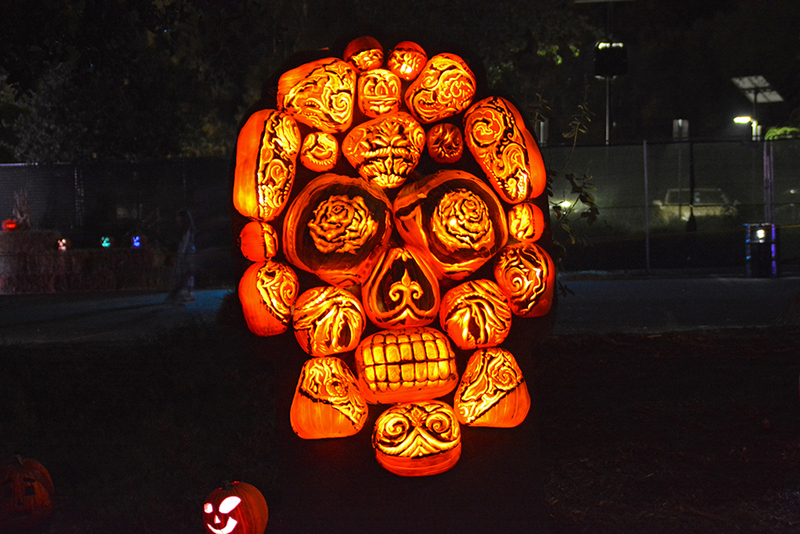 So next year check out Groupon and go see the amazing art of the “Rise of the Jack O’Lanterns. Wow! How cool is that? I’ll have to check it out next year!